We at John’s Classic Cougars are pleased to offer you our years of experience and pride of Cougar ownership and service to the Cougar Owners throughout the world! Celebrating 28 years in 2007! You will find a huge selection of restoration and street rod parts for both cars and trucks. We are the World’s Most Complete Supplier of 1937-54 Chevrolet Car and Truck Parts with over 8,000 parts available! Our local car club friends! Founded in 1997 for Corvette owners in Holland, Michigan and the surrounding lakeshore area. The Vintage Car was formed to offer a unique reference point on restoring, running and learning about vintage cars. This site is an excellent resource for those with a passion for restoring, running or learning about vintage cars. For all of your auto parts, tires and tuning accessory needs. Check out our facebook page for more photos and current events. 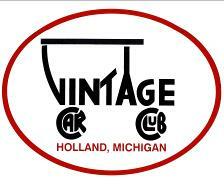 The Official Vintage Car Club of Holland Facebook page.